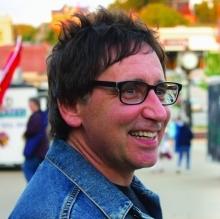 Brian Zahnd is the founder and lead pastor of Word of Life Church, a nondenominational congregation in St. Joseph, Missouri. Brian is a passionate reader of theology and philosophy, an avid hiker, mountain climber, and authority on all things Bob Dylan. Brian and his wife, Peri, have three adult sons and three grandchildren.